Can an Adoption be Reversed? Contrary to what some may believe, there are ways in which a finalized adoption can be reversed. Once an adoption has been finalized, if one party wants to reverse the adoption, he or she needs to submit a petition to the court – this is often done by either the child’s birth parents or the child’s adoptive parents. While a reversal is possible, the laws regarding this process are very strict. Once the adoption has been reversed, the child’s birth certificate is changed to reflect its original state before the adoption. Which Parties Can Reverse an Adoption? The Child’s Birth Parents – If the child’s birth parents want to reverse an adoption and regain their parental rights, the adoptive parents need to give consent for the reversal. In some U.S. states, however, even if consent is given by the adoptive parents, the birth parents’ parental rights cannot be restored. The Child’s Adoptive Parents – In the rarer case that the child’s adoptive parents want to reverse the adoption, they need to prove to the court that dissolving the adoption is within the child’s best interests. This may occur if the child and the adoptive parents have not been able to form a positive relationship. The Child – There are several circumstances where a child may wish to have his or her adoption reversed. In some cases, the child wants to be emancipated from his or her adoptive parents, but more often, a child reversing his or her adoption happens later in life due to failed relationships with his or her adoptive parents. When Can Consent to an Adoption be Reversed? 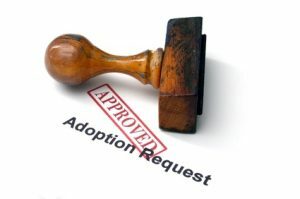 Best Interests of the Child – When a child is adopted but the court finds the child would better benefit from having the adoption revoked, it will grant the revocation. Fraud or Duress – If consent for adoption was given fraudulently or while the consenting party was under duress, the consent is automatically considered null and void. Timeframe of Refusal – There is a small window of time available for birth parents to change their minds about giving consent for their child’s adoption. I am a child of adoption and I can attest that there are times when adoption is a good thing. If a child, however, is put in a home in which witchcraft has been done to them and I do mean WITCHCRAFT, an adult adopted child might want out of their situation. I would love for my adoption to be overturn. People who want to be parents ought to be given the right to raise them. If they are capable of loving someone else child. If they cannot love someone else’s child then do not destroy a child’s sense of self for a demon. Hi. My name is Chanreth. I currently live in California, but my case is Massachusetts. I would like duress on the adoption case for my daughter back. Her adopted parents are her aunt and uncle. They’ve never took care of her or have my daughter ever lived with them. My daughter lived with me since the day she was born. The adoptive parents led me to believe that they will never physically take my daughter from me if I signed the papers. The adoption was finalized on November 23 2017. I recently found out that the papers were signed in 2013. I never signed any papers in 2013. Please help understand how I can fight for my daughter back. I’m desperate.